Kubuni Scandinavia: Nine Piece Nesting Set by Richard & Anthony Joseph - The Best Nest! 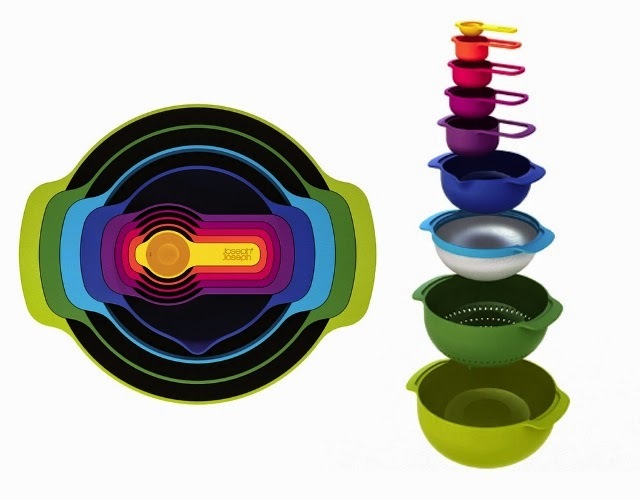 Nine Piece Nesting Set by Richard & Anthony Joseph - The Best Nest! Compact, cute and incredibly useful. The ultimate collection of practical space-saving kitchenware. 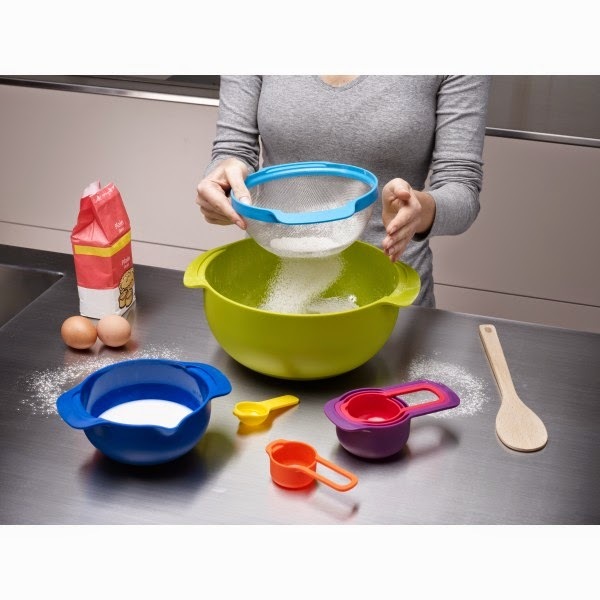 This ingenious nesting set includes two sizes of mixing bowls, a colander, sieve, and a set of five measuring cups, all stacking together to create a striking collection of kitchenware. The practical space-saving design makes this set perfect for brightening up the kitchen of both novice and experienced chefs. Great gift idea! Notes: Dishwasher safe, Set includes: - 5 measuring cups: 1/6, 1/4, 1/3, 1/2 and 1 cup - 1 small mixing bowl, 17 oz. - 1 sieve - 1 colander/strainer - 1 large mixing bowl, 56 oz.